I am beyond blessed to have the opportunity to regularly travel the world by cruise, but as not every coastal destination is readily available with a short sailing from my homeport of San Diego, I also fly a lot. My preferred default airline is Delta Air Lines and SkyTeam frequently enough that I have achieved Platinum Medallion status, but sometimes convenience and certainly the chance to fly in upgraded fashion supersede that preference. 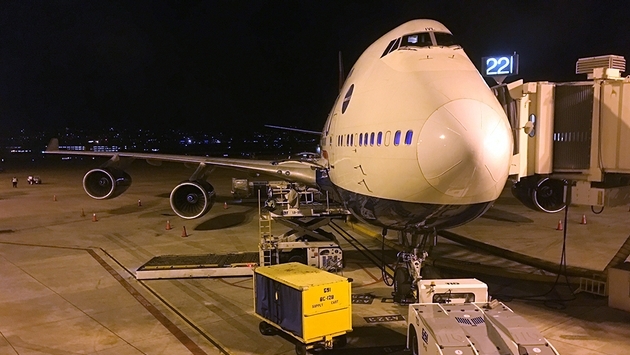 Such was the case heading out on British Airways from San Diego International non-stop to London Heathrow aboard a Boeing 747, in Club World business class no less. Ordinarily check-in and security are a breeze for me from SAN as a TSA Precheck participant, but unfortunately, British Airways (BA) is not one of the foreign carriers in the expedited program, at least not yet. Nonetheless, check-in was super easy using the airline’s app from home, and very few people were in line to check bags at the airport counter at the recommended three hours ahead of departure. My line, of course, was even shorter with no wait at all for Club class. My only complaint came as I approached security and had to remove my laptop and shoes and go through the full body scanner, things that are ordinarily not required via TSA Precheck. However, even if BA had been a participant, there was no Precheck line open at the low time, an occasional obstacle and my biggest criticism of the program. Alas, I made it through relatively quickly in an expedited business class line, albeit with the added hassles I knew I must be prepared for upon arriving and connecting in Europe anyhow. Terminal wise, I’m actually writing this review as I enjoy complimentary business class access to the exclusive British Airways lounge in Heathrow awaiting my continuing flight to Venice. I’m very happy with the facilities here, which are complete with free food and drinks as refreshments to pass the time by. As the hustle and bustle is frantic with people below, the lounge is a lovely quiet respite. Previous to leaving San Diego, I also had club access to the Airspace Lounge shared with Oneworld partner American Airlines. Despite the gate available to BA being in the older part of Terminal 2 at SAN, the lounge is a newer venue bridging the older and newer sections of the terminal. A nice selection of complimentary food and drinks exclusively for BA travelers was available here. So, I enjoyed a tasty rum and Coke free of charge. Of course, what I was most excited for was the flight itself — only the second time I’ve flown aboard a Boeing 747. The first time was in economy, so the chance to select a business class seat on the upper deck in the plane’s famed dome was a treat alone. Besides, there was a time when 747s could not even take off full from San Diego, but newer specifications now allow the behemoth to depart from America’s Finest City. The top deck of the aircraft, behind the cockpit and accessible only by a somewhat secretive stairwell, are only a dozen or so Club World seats arranged two-by-two with a single aisle in between. The overall width here is closer to a narrow body plane as the canopy tapers to the top of the aircraft, but there is still plenty of room to go around. Seats alternate facing forwards and backward to interlock and save space for a more efficient design. I must admit though I was surprised by their narrower configuration compared to what I’ve experienced on Air France. As lay-flat sleeper seats go, these had plenty of length, but the width could have been greater as would’ve been allowed by the larger than average center aisle. Even with a somewhat clunky footrest that had to be manually positioned separate from the recliner, I was able to get about four hours of sleep that definitely beats the difficulty of doing so at all in economy but not quite as comfortably as on the French carrier. The rest of the time I enjoyed the personal entertainment system to catch up on watching two recent films and some television despite the old-school 4:3-proportioned very low resolution LCD screen. Also nice was individual power outlet access, if not a USB charging port as well. In-seat amenities also extended to a nice Elemis toiletry bag, which made me feel right at home as the brand is very common to cruise ships that employ the spa services of Steiner. But one of the greatest joys of flying business class is the wonderful dining choice, again complimentary. Leaving from San Diego at 7:15 pm began with a full-service dinner that, in my case, included choice of a fresh caprese-style salad, delicious beef tenderloin and decadent cheesecake, each served course by course with wine. In the morning, breakfast was similarly served with a cereal section and cheese omelet, the latter of which was runnier than I would have liked while still hitting the spot. Service in business class aboard British Airways is better than my previous experience in economy on this particular route. The stewardesses were very attentive and even addressed everyone formally by name. It was perhaps delivered a little colder than other airlines I’ve had the chance to experience business class on that are a bit friendlier. Here the service was to the point but quite adequate, more akin to Virgin Atlantic. Of course, any interactions these days are expectedly shorter when noise-canceling headsets are in the mix. Overall, the experience on British Airways was a splendid one with only a few minor gripes, all of which are easily dismissible compared to the economy experience, but in context to international business class competitors, here’s how it tallies. Truly, the biggest differentiator of this particular flight regardless of fare class is the convenience of the route itself. 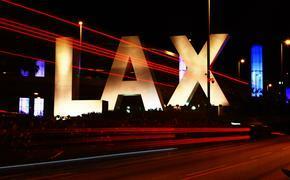 Non-stop from San Diego to London is hard to beat when most alternatives require two legs to make it across the pond.